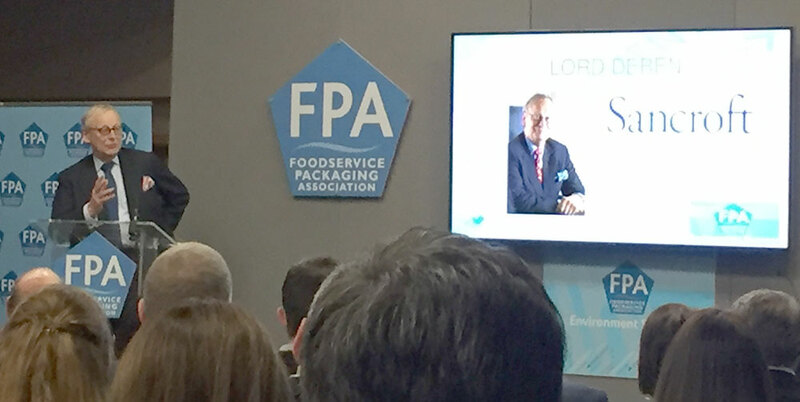 Cater For You has been a member of the Foodservice Packaging Association for a number of years and was pleased to be able to attend their environmental seminar for a second year in a row. The event is not just a industry speaker event, but also gathers in views from a full spectrum of opinions and influencers. We think we keep up with events, for example we were one of the first (if not the first) to put recycling logo information on our product pages, introduce a dedicated biodegradable section, but we wish to learn more and continue pushing forward. This seminar was scheduled as the issue of plastics in the oceans, product recyclability and litter is quite rightly huge news. Below are some notes as we were able to jot down with the odd commentary in order of scheduling. 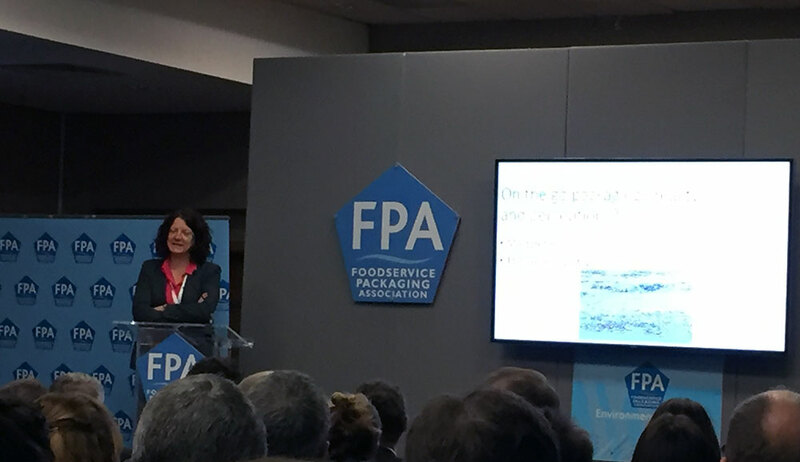 The first few presentations were pitched at showing the industry (us) how bad the litter and plastic pollution is in the UK and further afield. At Cater For You we have seen an explosion in demand for the compostable materials, but they should be composted at the correct facilities rather than just thrown into landfill. The drs has to be simple for shoppers and households, focused on consumer beverage packaging, just one scheme (not for profit), fraud control, underpinned by legislation, convenient for collection points (often small shops with little storage room). The last point in the winners and losers of a DRS scheme, we believe that the local authorities recycling revenue / finances are underpinned by the collection of plastic bottles as they are valuable, so removing them from this and putting into a DRS scheme may take away from local authority door step recycling collections in future – which would be a huge setback. The day’s seminar finished at this point. We found it tremendously useful again and there was a definite consolidation of thought and ideas from the previous year where the industry was caught out in the headlights of the media and consumer glare. These ideas need to be taken forward without recklessly implementing short term fixes for media headlines to be seen to be doing something. The government has 25 year targets, but the leaders in the room were confident that it was possible to transform recycling and reduce plastic usage in a much shorter timescale. Please note that this is a write up from hand written notes on the day. If there is a known error from our note taking, please let us know and we’ll update this article.